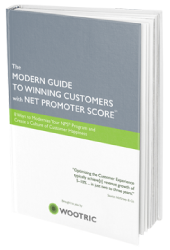 I’m biased – I like the Net Promoter Score system, and I’m going to tell you why (in a minute). But, I also think we need an unbiased perspective on NPS, one that airs the dirty laundry, so to speak. Net Promoter Score is both a customer loyalty metric and a system for improving loyalty over time. NPS isn’t a perfect metric. It’s also not a complete system. But, most of the people talking about NPS are the ones touting it, which means you’ll rarely find a genuine report of its pros and cons. Well, that’s exactly what I’m doing here. 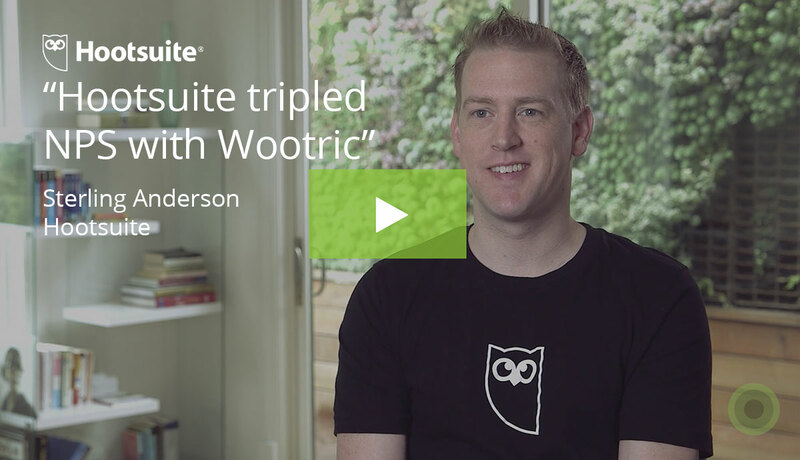 In the interests of transparency, I have to say that Wootric, an NPS SaaS platform, suggested I write this piece and requested that I don’t pull any punches. No punches have been pulled. This is my take. Because that’s what it’s really asking – are you willing to stake your name and reputation by recommending this product? You’re not asking whether they like the product. That’s subjective, and they’ll just say “yes” to be nice anyway. You are asking whether they would subject their nearest and dearest to this product. And that brings out a whole other side of human character: Selflessness. I might use a chipped teacup without thinking twice about it, but if I have a friend over, they get the teacup that’s in pristine condition. When it comes to our friends, we want nothing but the best. Which is why, when you need a completely honest, unbiased report on how your audience perceives your company, an NPS survey is the single best way to get those answers. Of course, the obvious reason to use NPS is to identify your promoters so you can encourage and amplify their loud, enthusiastic voices that are the real ambassadors of your brand. The less obvious reason is that it’s one of those board-level metrics everyone can easily understand and rally around. But here’s the thing about NPS: It’s one question and an open-ended follow-up. The follow-up “Care to tell us why?” question lets customers elaborate on their score. They get to cut to the chase and tell you what is important to them in their own words. As surveys go, this is a great user experience. That’s why response rates are so much higher than the old school “This will only take 5 minutes of your time…” multi-question surveys. And, you get rich qualitative feedback out of it. So, really, the beauty of NPS is in its simplicity. Both for your customers and for you. It does one thing, and does it very well. The Cons: What are disadvantages of Net Promoter Score? 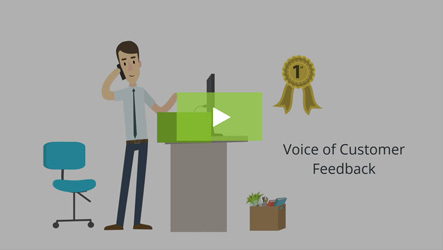 NPS works best within the context of a robust customer feedback & listening program. Using the entire customer journey as a framework against which to measure customer experience. Designing a feedback collection strategy with audience segmentation, market segmentation, and customer maturity. Taking action on feedback – because feedback is only as useful as its follow-through. Responding to customers, so they know their feedback is valued. Measuring improvement targets and adjusting as needed. I might also add incorporating a brand advocacy program to encourage and leverage promoters, as well as tracking other established metrics like the CSAT that lets customers give feedback on their interaction with your support representatives. But whatever your recipe for creating and counting happy customers, you’ll need to do more than just send out a single survey. At Sprint, 20% of employee bonuses are tied to Net Promoter Score. On the surface, that doesn’t seem like the worst idea ever. But think of it this way: Is your goal to improve a score, or to improve your customers’ experiences? They are not one and the same. Telstra, Australia’s largest telecommunications company, also uses NPS, but has focused its call centers to give customers more efficient, more helpful service (and follow-up calls and personalized emails). After implementing these efforts, Telstra saw a 3 point rise in their NPS score, and reduced customer churn. Another, related pitfall is that employees who receive compensation based on NPS scores tend to coach customers on how to respond, asking for top scores. 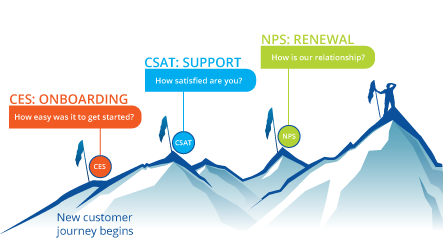 In short, use NPS as a compass to guide you to creating better customer service. Don’t treat the number as the end goal, or you’ll find people gaming the system. Aside from the best practice of acknowledging any survey response, whether they be good or bad, what customers really need to see is the company acting on their feedback. With NPS, you’re learning what customers struggle with – but without a process in place to use that feedback to inform your product roadmap, customer success efforts, customer service, etc., that feedback too often comes to nothing. And your customers can tell. It’s precisely because NPS is so “easy” that it gets abused in this way. But when you don’t take action based on results, NPS won’t magically move the needle for you. The key is to listen, and then proactively deliver what customers need to achieve their desired outcomes. This requires a Net Promoter cycle. Don’t put Baby in the corner – if it’s one thing we learned from Patrick Swayze, it’s this. And, like Baby, NPS can’t do what it does best when confined. For example, it’s very useful for customer success, especially with identifying promoters and alerting customer service to potential problems, but it’s not just a customer success thing. NPS does its best work as a company-wide metric that has implications and value for just about every customer-facing department. Product Development uses NPS feedback to prioritize dev resources. Marketing uses NPS to find and ask happy clients to join their advocacy programs (or get valuable metrics to use for case studies). Customer Service/Support uses NPS as a signal for when clients need outreach and support. Sales uses NPS to identify accounts primed for upsells and referrals (NPS is a strong business intelligence tool). We’ve all gotten the survey that gives us one box to check, and offers no way for us to explain what has gone horribly wrong with the product, service or company. It’s so frustrating. If you could only explain it, maybe they could fix it, but the fact that they don’t give you a way to communicate just shows they clearly don’t care. The beauty of an NPS survey is that it does include an open-ended response section, however, another problem can occur. The open-ended response section of the NPS survey can become a repository for everything from venting, to how-to questions. This can create chaos for the poor chap trying to analyze NPS feedback, and even if the queries are passed on to appropriate customer service representatives, it’s not a system that scales easily. And if you fail to close the loop with these customers, they’ll be even more frustrated. The beauty of NPS is that it has one job – don’t make it pull triple-duty as the primary communication outlet. If people are asking questions via NPS survey, it might indicate that they don’t feel able to elsewhere. Do you have a strong FAQ or Knowledge Base available? Is it easy to contact Support? 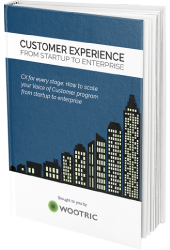 Hearing from more customers is a good problem to have, but it can be a challenge. But even if you have multiple channels for communication, you’ll still need a good way to categorize the qualitative data you do get via the survey. In fact, that is why NPS companies like Wootric offer sentiment and keyword analysis of the qualitative data that their customers receive. Start by creating categories and tagging responses so you can see where most of the issues are. 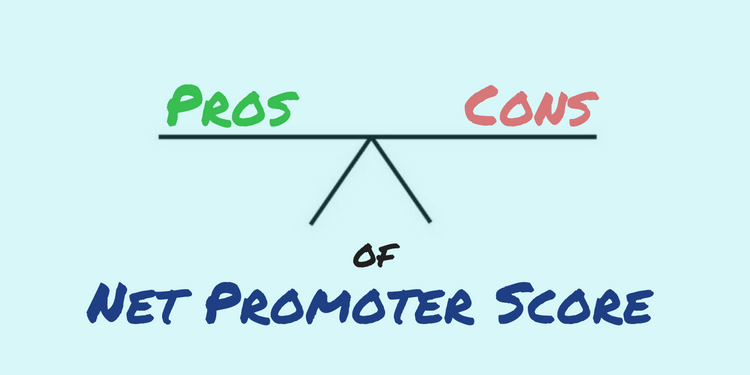 What are Net Promoter Score Pros and Cons? What limitations have you experienced with NPS? How have you used NPS to create real positive change? Tell me in the comments below or share your thoughts @NikkiElizDemere on Twitter. 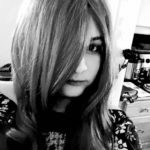 Nichole Elizabeth DeMeré is a SaaS consultant & Customer Success evangelist. She is the founder of Authentic Curation, and serves as a moderator at @ProductHunt & @GrowthHackers.